As you all should know, the first round of March Madness IV is tomorrow, and this may be a bit of a late motivational post for it, but I just have to mention: we can’t mess around if we’re going to win it. Last year we lost by 1 penguin to the Doritos(60-59) in the semi-finals of March Madness, and that’s what happens if we’re being all cocky about winning, even if it was slightly bias on CPAC’s part. We all have to recruit on CP today and all of tomorrow before the big event if we’re going to win even the first round of this thing. Last year we were put up against SMAC armies for the first couple of rounds, but this year we are being put up against the Golds in the first round, who are currently 6th in the Top Ten right now, us being 5th. We have to try as hard as possible on EVERY round no matter our opponent’s army status and not be cocky in order for us to win and obtain our overall maximum potential as an army. Contact me on chat if you need help recruiting. On Thursday, the US force logged on Blizzard to cleanse it from the Dark Bandits. The Cleanse was successful and no enemies were found. Today, I am retiring for a very small list of reasons and they’re explained in a lot of detail. if you want to know what has lead me to this decision, read on. I almost think I look like I didn’t enjoy any of it considering what’s written below this but believe me, I’ve had one hell of a ride here and it’s been absolutely amazing and if you’re considering joining, you really will have a great time here. I joined in 2011 after the army I was in before had just recently died(Brigades), and I thought I needed a new one since I enjoyed being in that one so much. I thought I’d join the Nachos because that was the first one I found. Whilst in the Nachos, I was also in a lot of other armies like Golds, DJ Army, Mysterious Freedom Warriors and even ACP for a while but then quit because it was literally impossible to rank up. 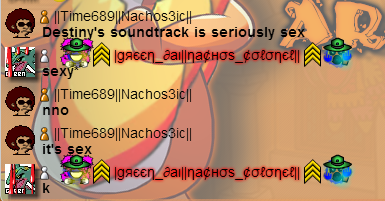 I then became a moderator in December and stayed with the Nachos for another year until I had no choice in 2013. There were some times I was in the Nachos in 2013 though. 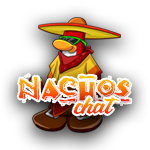 Then on October 13th 2014, I rejoined the Nachos as a member once again, and it took less than a month for them to give me owner(October 13- November 6th), which is more than a bit weird compared to back in 2011 where I was stuck with a mod rank for over a year. Not too long after that at the beginning of December, I got promoted to 2ic, and then 4 months later on the 13th of March 2015, I then got assigned to lead with Edd64. We got 15+ together for a good while, and then Talex decided to rejoin for leader and got us to even better heights than ever before. A month later, Edd decided to retire, and Camperjohn64 took his place. We thought we would do pretty good as a trio, I even made a motivation post for it that nobody read that’s listed below, but we didn’t go far. Camp and Tal basically only stayed with the leadership for another 2 and a half weeks and then tried to push all of the blame on me. I then stayed until the retirees had to inevitably come back and save the army again. To read more about my history and experience in the Nachos and other armies, read my Finally 3ic post that’s listed below in the Posts section if you’re interested. If you want to know what’s been happening with me recently and why I’m retiring, read below. 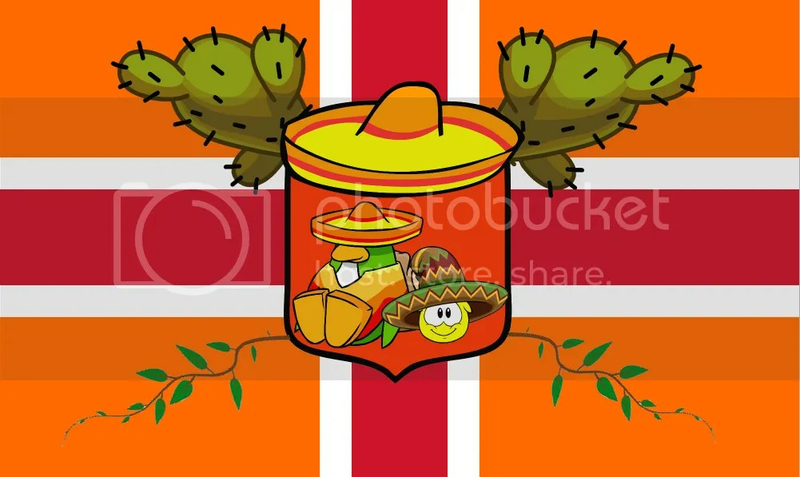 Today, I am going to be retiring from the Nacho Army. You guys have been so great to me and the amount of fun I’ve had here is unreal, but there have also been times where I thought I was hated, which is actually normal, considering the number of leaders we’ve had. I can’t really think of any leader that hasn’t had SOME hate in CP armies, and especially for one that didn’t do very well.Especially if I didn’t have hardly any help, as well as having to do it solo for a while because all the other leaders left.Then the retirees had to once again save the army for the 20th time. As a leader, I know I tried to do the best I could and that’s all that matters,and that should matter as a 2ic also right? Wrong. Atleast not for me. The truth is that the only reason I’ve been staying here is for getting leader once again, and expecting it without any real effort. I stopped liking this whole thing a few months ago. I’ve been leaving before events and being inactive on chat because I have no interest of talking to anyone on there anymore, and I can’t even be bothered to autotype anymore, and yet I still expect leader for some weird reason. If I still enjoyed and cared about being in the Nachos still, I wouldn’t really be putting off any of these things that especially an owner is expected to do, and I would feel motivated to change the army for the better and I wouldn’t care so much about the rank. I wouldn’t even be that bothered if I was still a mod if I really still cared. But I’m not. 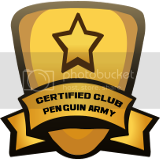 None of this really matters to me now, and maybe the real reason I’m still doing this is because I feel expected to serve the army that I cared so much about 3 years ago when I was 12, but truth be told, I shouldn’t be obsessing so much over a Club Penguin Army, even if I feel they’ve done a lot, especially it it feels like a job or a chore. To put it simply, it’s just not fun anymore. This also isn’t because of anyone elses opinion either if you’re wondering. In 2011-2012, I thought the job of an owner was massive, but really it’s not. All you’re really expected to do is post, recruit and stay active on the chat, but also back then I was a lot more childish and naive than I am now, and I almost wish I was just as blissfully ignorant now as I was then, but people do have to change eventually. My point? There is no point. This is just me rambling about how things used to be, like a typical retiree, which is what I’m basically becoming now. I know I wont be turning into what I hated the most as leader: a retiree that fills up the chat with their BS and about how things used to be better. But what I didn’t realise is that it was inevitable from the start. So make sure when you see a retiree, don’t get too annoyed. They’re really not a waste of space, some of them just want to have a good time, and can also be a good source of guidance. They’re only annoying to the ones that are actually in the army though. If I ever do return, it’ll either be in a while or never because I have college coming up in a few months and I don’t wanna say I spent more time on a Club Penguin Army than on real life stuff, and I just turned 16 by the way if you’re wondering. I’ll still be on the chat nearly everyday to chat to people here and there and attend the odd event, but it won’t be anything really that serious like becoming anymore than a moderator. And finally, the people that have been with me for the whole journey in Nachos have been amazing, I really couldn’t ask for much more, so I’m going to make a massive list about them right now :).And if your name’s not there it’s nothing personal. You guys are absolutely amazing at this leading thing, but you really need to get more active and get other owners to recruit if you really want this summer to be a good one. You’ve also been very good to me for all the time I’ve been here, and also to other fellow Nachos as well, so keep up what you’re doing and stick at it. You’ve been awesome to me over the past couple of months, and if you’re upset about the fact I have to do this, please don’t be. You always called me out for doing things, like if I got insecure during the leadership and went to far. You also turned into an awesome owner and friend. You were really cool to work with me and Edd and you tried to be a good leader, but it didn’t work out and even if you may have left me along with Tal, I can still remember all the good times we had earlier this year and back in December, and all together, you’re a pretty cool guy to talk to and you never fail to liven up the chat. You always talked to me when I was on chat a few months ago and you were awesome, and now you’re an owner! You really should try to work and recruit with Zek and the other AUSIA leaders to get the division going once again as your new responsibility. You also were one of the best members this army has ever had, and you stuck with us through all of the bad times, and you should be proud of that. Talex: Same thing with Camp, you left me to do everything solo, but with Edd, I thought we worked pretty well together in getting the army going again, especially with your SS helping a lot with the ACP and DCP wars. In 2012 you were also one of the first leaders I met and one of the main guys who seemed cool to me, along with Chrisi and Joker. 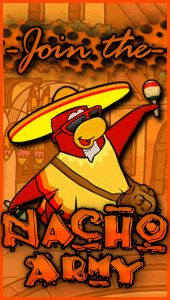 And to all of you leaders and owners of the Nacho Empire, make sure you’re not being lazy, and don’t turn into me. I noticed you guys have only been getting 15-18 MAX, and that’s because you’ve been slacking a bit and not bothering to recruit and stay active. If you’re not going to recruit and stay active, you might as well just kiss your army goodbye. ALL of you guys need to stay active and recruit/autotype if you want to make an impact in this army and get us to rise once again, especially with the Legends Cup coming soon. There’s no excuse for the lack of recruiting. It’s just laziness now. If you’re not having fun here and/or haven’t got enough time for any of these things, you really should just retire. It’s nothing personal and you’ll probably be doing the army a favour. So here it is, Nachos, the end of the post. Goodbye. Enjoy the funny pictures, posts and videos that are linked below. ➡ GOAL: 30+ FOR PRIZES! Welcome to the semi-finals of the Spring Smackdown Tournament, Nachos. This battle will determine if we’ll be able to even get to the finals vs either the Light Troops or the Ice Warriors, and if we don’t win this important battle, the chance of our rise and glorious road to victory will be gone forever(a good while), and either RPF, LT or IW(depends who wins) will have all the glory and undeserved victory :o. So bring your family and friends along with you to this epic battle, and strap yourselves in because we’re gonna be going on a hell of a ride to victory! We can not possibly lose to RPF, they may be strong but they’ll never be as strong as us if we try! Create an account for the battle! 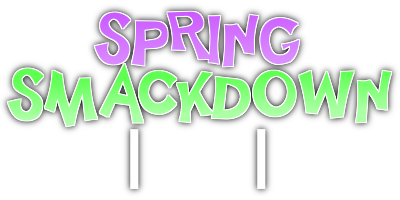 If we reach our max and win this(Spring Smackdown) battle, HUGE Prizes will be given out immediately after the event and your chance for a promotion will increase. This is an important even Nachos, so prepare and spread the word of it! Comment on Which Events you Can Attend! Today we logged on for our UK event and we did exceptionally well, maxing 17 and averaging 15, with perfect tactics!